Also, let your voice be heard in the greatest controversy in history. Well, history of podcasting. O.K., history of this podcast. 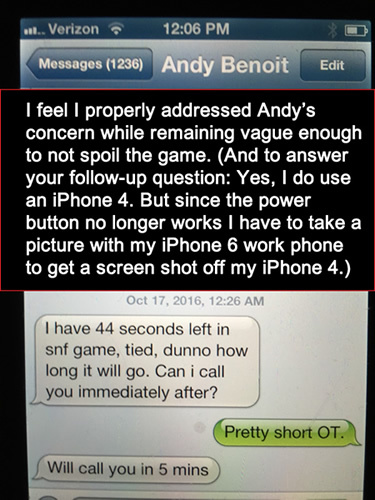 MMQB: 10 Things Podcast TextGate: Keeping in mind that @Andy_Benoit asked a question, was the text fair or was "pretty short OT" a spoiler?